Baciuzzi is an Italian brand belong from BABY PARK group founded in the city of Bari, Italy on 25 May 1966 by Mr. Giacomo Lombardi. Italian BACIUZZI lets fashion be rooted in healty spirit and human-oriented funcion! Italian BACIUZZI design, standing seized of two charming and attracting faces of classical and fashionable styles, is mainly characterized of its unprecedented innovation in the combination of its shape and material. Baciuzzi baby products is a wide range item for new born baby and pregnat woman. The Baciuzzi collection consist in baby stroller, baby walker, car seats, baby hig chair, playard, travel bed, table chair, carrycot, bouncer, mosquito net and baby accessories for home for car for travel. 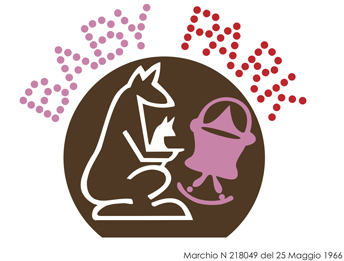 Baciuzzi is italian trademark and design. Baciuzzi items as been designed to satisfy the parents necessity and give the maximum comfort to the baby. Baciuzzi brand represent the actual evolution from long time experience of the Lombardi Italian family and three generation hard working efforts.